You can give a Special Gift to your sponsored child and their family that is just what they need. It’s easy to do — and the blessings will overflow to impact the whole community. Simply login to myworldvision.org to give your Special Gift. Then, our local staff will work with the family to find out what they need most and buy the gift nearby to help support local businesses. It could be things like a bike, school supplies, clothing, or something else they could really use. After the special gift is purchased, you will receive a special thank-you letter and photo of your sponsored child with their gift! How will I find out what my gift purchased? You’ll receive a thank-you letter from your sponsored child and a picture of what your donation purchased, and how it is making a difference. Please allow at least four months to receive a response. Why is there a minimum donation of $100? 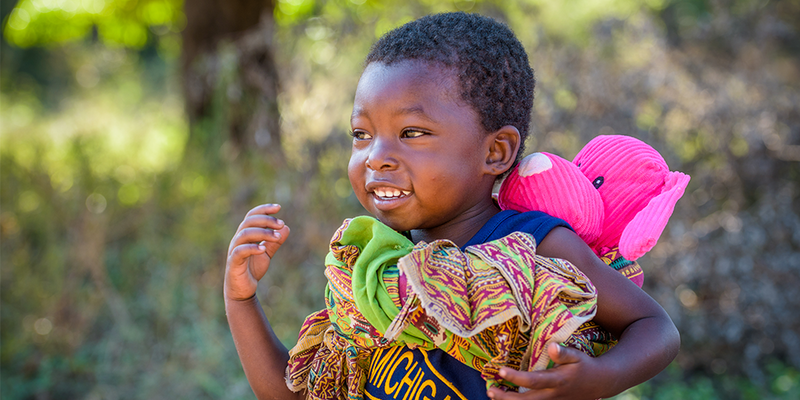 To help ensure your gift goes as far as possible to help meet your sponsored child and their family’s unique needs, each Special Gift must be $100-$200. This amount enables us to purchase meaningful, and impactful gifts that will help your sponsored child and their community. Why are Special Gifts also shared with the community? How often can I give a gift? We encourage sponsors to send no more than two special gifts per year. Are there any country restrictions? Special gifts are not available in Lebanon.